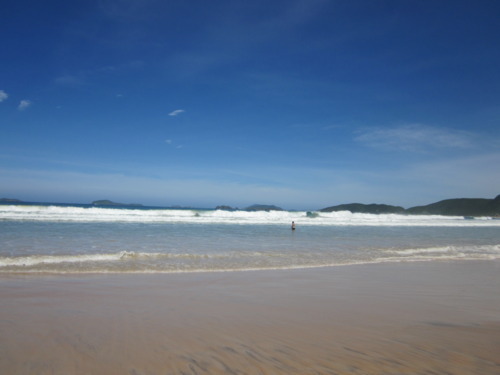 Because of its wide-open face to the southeast, Geribá Beach has the best surf in Búzios! 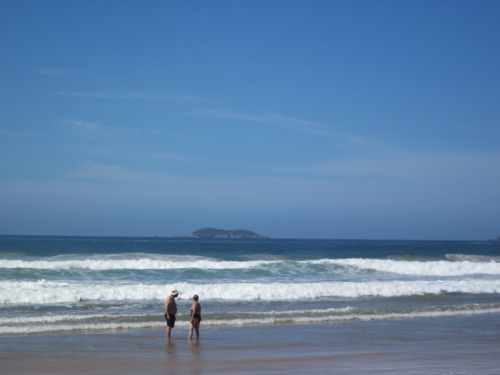 The beach itself is the widest and one of the longest beach in Búzios. Whether you prefer a short board or a long board in the center there is constant large surf. If you didn’t pack your own board, don’t worry, you can rent a board for R$30 a day (ie $18US), they even throw in a rash guard! If you want lessons, this is the spot to learn, great foam and only R$36 for an hour + rash guard. 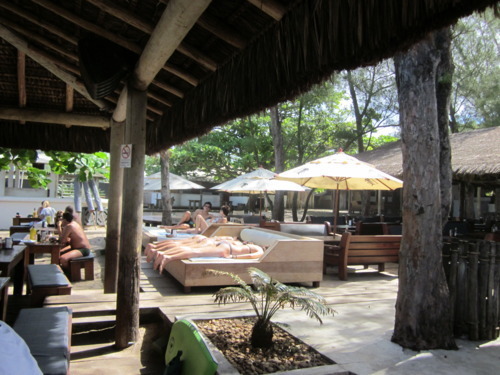 There is a great lunch spot right on the beach: Fishbone located on Geriba beach is also one of the hottest nightlife places to be seen. Talk about a restaurant with a view… facing the beach or just looking around at the people around you.. all you will see is beauty:) For lunch they have great sandwiches or traditional Brazilian fair and snacks; with the alcohol always flowing. Afternoons are a lively après beach scene. Evenings feature weekly bar events including dance parties and luau-like festivities that run till the wee-hours of the morning. I can’t wait to go back—This place is not to be missed!